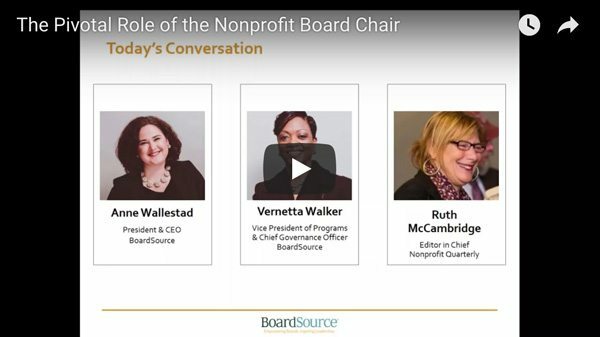 Most of us understand the importance of the board chair’s role in facilitating meetings and setting agendas. Though these functions are incredibly important, the chair's role goes beyond these critical elements to a much greater scope of influence. Can't attend the live webinar? Register and we'll send you the recording! Please send your questions to [email protected] to have them answered during the live event.